1. The bursary is available for UNDER GRADUATE or POST GRADUATE study ONLY. The course of study can be on any aspect of the English language e.g. 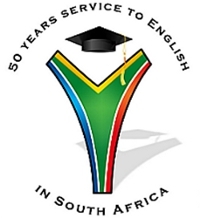 the teaching/promotion of the English language, involvement in the language, drama courses etc. The course can be by correspondence, part-time or full-time BUT IT MUST BE at a SOUTH AFRICAN educational institution. 2. Applicants must be South African citizens or residents. 3. Applicant’s normal place of residence must be in the PRETORIA area. 4. The bursary is available for course fees, the purchase of books, printing costs and, at the Bursary Committee’s discretion, any other incidental expenses which may be incurred. The applicant will need to show that he/she qualifies as a ‘deserving’ case. 5. The closing date is 31 JULY preceding the year (beginning 1 January) of proposed study.